I'm sad to say, lovely readers, that our North v. South collaboration is coming to a close today. Can you believe this makes six weeks?! I'm overwhelmed with the amazing response from everyone and can't thank you enough. We've had so much fun putting together these spring-y outfits for you all! 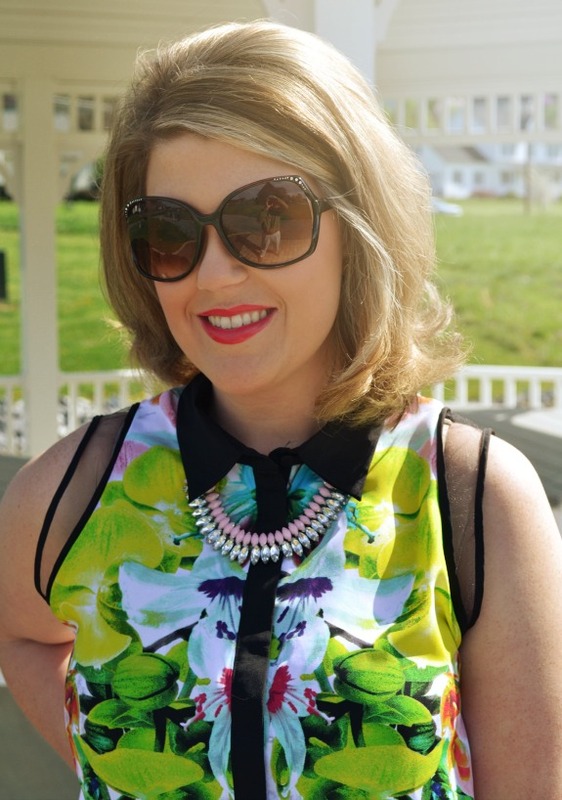 The final trend that we're tackling is print-mixing - a trend that I hope never goes away! It's just so fun and playful. I styled a blouse from the Prabal Gurung for Target line with a simple striped skirt. Great minds think alike because Shelby also featured a piece from that line! 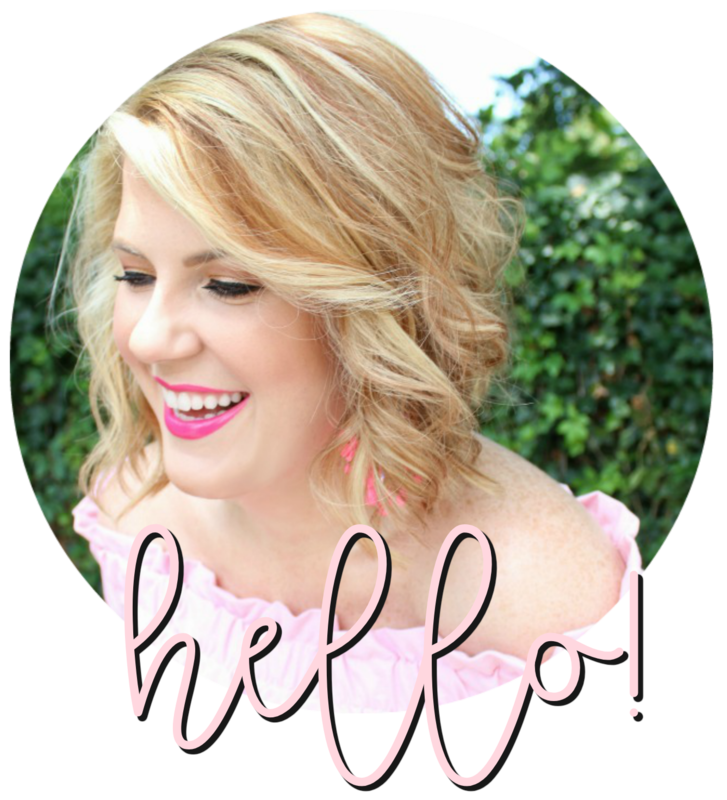 If you're in need of some print-mixing inspiration Bethany, the blogging beauty of B Soup, is a master. 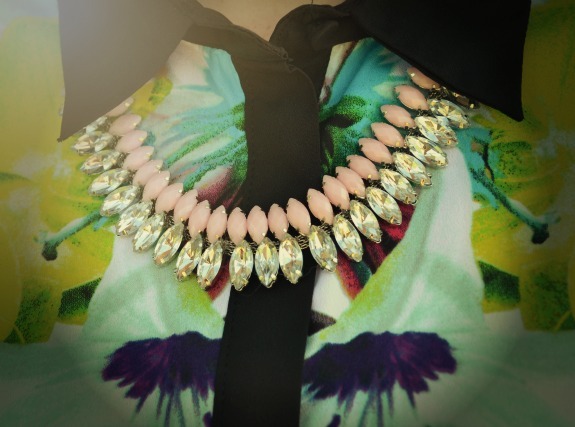 Read on for photos of my look and detail on what I'm wearing. You can check out my team's print mixing on their blogs and follow along with the hashtag #northvsouthstyle! 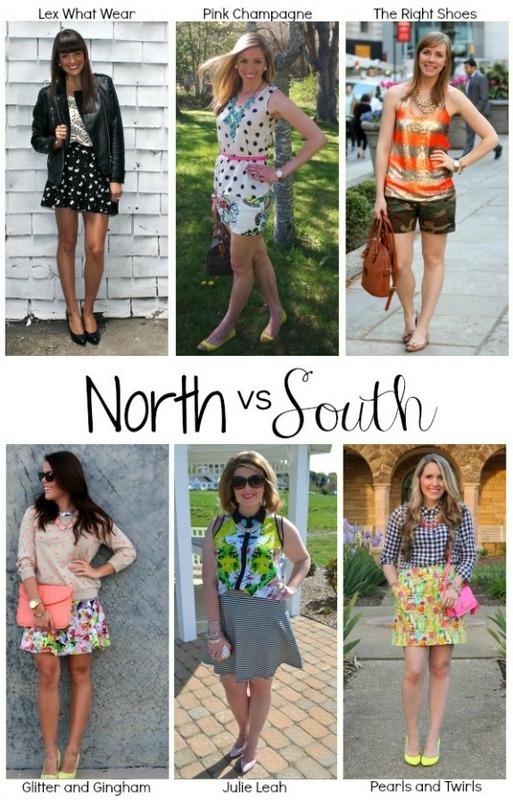 First off, I've so enjoyed each addition of North Vs. South! I was always so excited to see what y'all would do and pair up next! Gorgeous gals! LOVE how you mixed the stripes and florals. So fun! SUPER cute. Stripes like that go so well with so many prints, that I'm forgetting they;re even considered a print themselves! Love the outfit! I'm still not bold enough to mix prints but I am so jealous of people that do it with ease like you. And your clutch is so cute! Oh TJ Maxx and Marshall's you will be the death of my wallet. 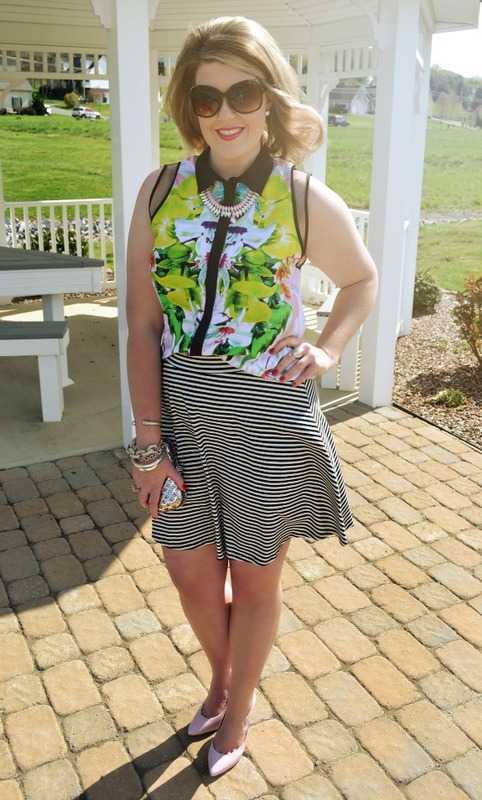 I have been mixing prints a ton too! I love florals and stripes! Need to try that one next.